District officials secured change in law to make project affordable. All signage patterned after 1929 entrance. Ceramic wainscoting in all hallways contains a discrete gold and black line to honor the school colors and accent. All class pictures are displayed in “The Gallery,” the hall east of the JH gym. LEED® is an internationally recognized green building certification system, providing verification that a building was designed and built using strategies aimed at improving performance across all the metrics that matter most: energy savings, water efficiency, CO2 emissions reduction, Improved indoor environment quality, stewardship of resources and sensitivity to their impacts. 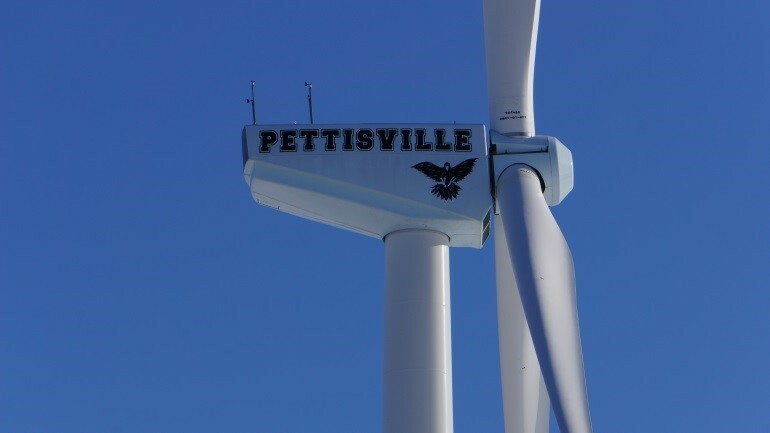 LEED Certified, Silver, Gold, and Platinum are awarded based on the total number of points earned within each category. Hallways are locally funded terrazzo patterned after, but not the same as, the 1929 building. Solid wood is utilized throughout the building in the chair rail, cabinetry, and trim. 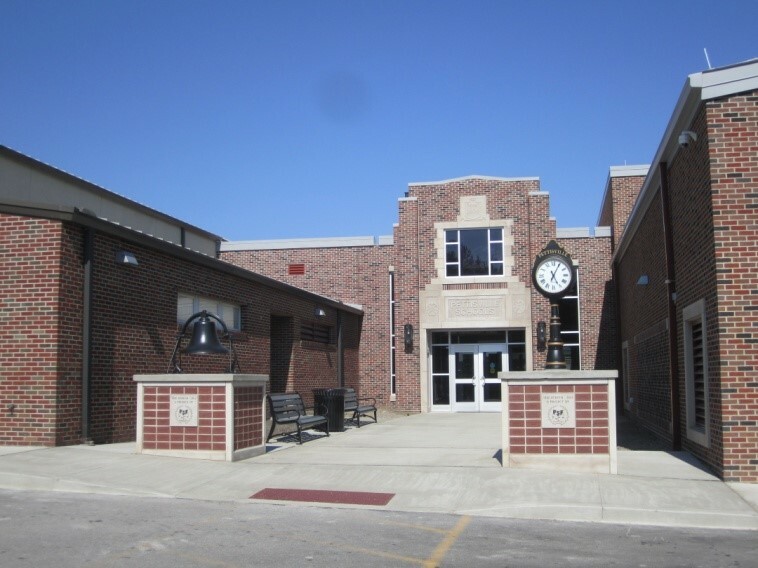 Limestone mastheads are patterned after the original school entrance to present areas of high school, elementary, gymnasium, theatre, and atrium. CareerTech agriculture lab with greenhouse and aquaculture lab. Classroom includes computer lab and set-up lab. “Old” offices will house offices for psychologist, speech pathologist, other special education specialists, and an office for the Pettisville School Foundation. 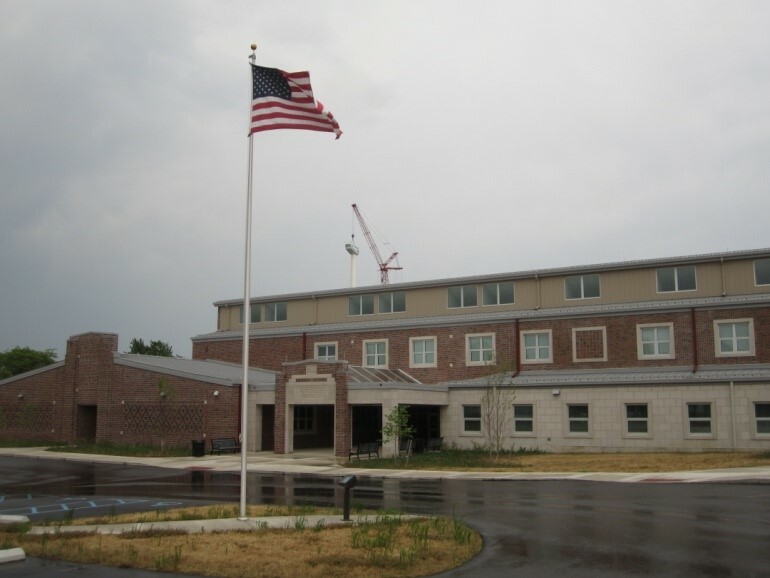 Of the eight classrooms retained in the former elementary, two will be set up as classrooms for future need, two are assigned as storage rooms, one is a janitor work area with overhead door, and the final three will be used for a fitness center with access to the junior high gym. All offices, including secretarial, principals, superintendent, treasurer, counselors, and director of athletics are located in one area with adjacent conference rooms. 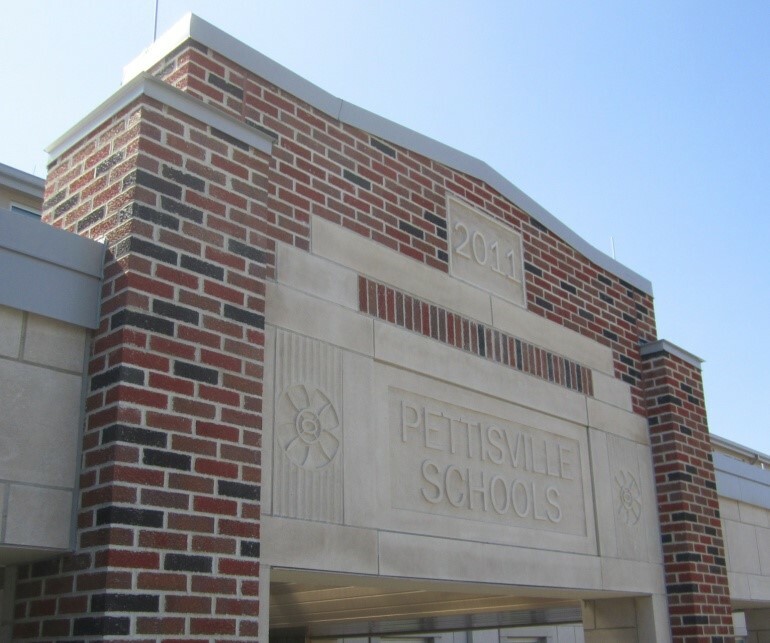 The “PETTISVILLE SCHOOL” masthead and “1929” are originals from the 1929 building. 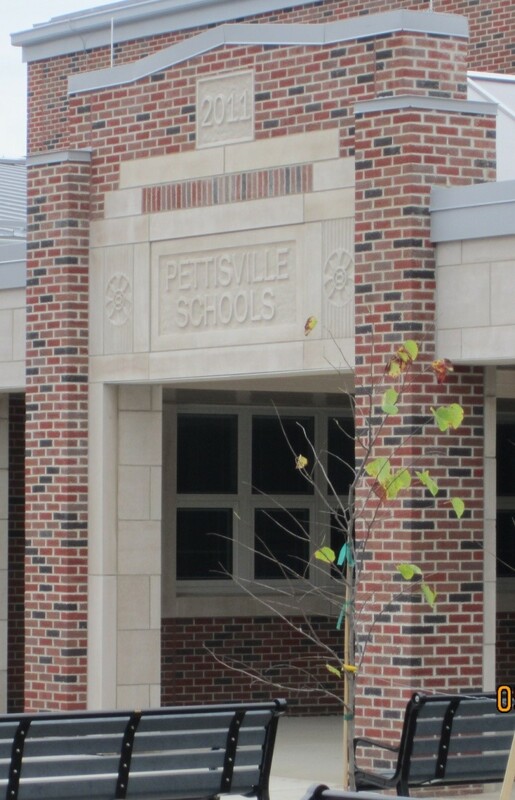 This masthead is replicated throughout the new building as well as in the “Welcome to Pettisville Schools” that appears on west side of the walkway. Solid walnut is from the tree that stood in the playground at the end of the basketball court. The wood was dried and milled by King Lumber. The rosettes on the walkway are from the front of the 1929 building. They were located over the diamond brickwork pattern. The two south wall areas framed by limestone will have ceramic murals of old school scenes created by Mrs. Joyce Nafziger and the PHS Art Department. The walkway joins the second floor high school with the study hall and computer labs in the north wing. The Atrium is outfitted with furniture funded by the Meister Fund. The concession stand will have cabinets and countertop installed on the back wall. A video monitor will be located inside the stand to monitor game progress. Concession stand floor is 6” higher than Atrium due to grade difference between buildings. Three video monitors are in corners of the main area. One will show the upper east side of the parking lot so that students can see when their ride arrives. The recessed lights in the east atrium are low energy using LEDs. Heritage Park is the name of the entrance area to the west of the Atrium. The chandelier and exterior sconces (at each side of the Atrium entrance) were created by Mike Bendele, former blacksmith at Sauder Village. The chandelier features lighting fixtures from the 1929 building. Masonry pedestals at the entrance display the names of the Atrium 272 donors. A school bell, displayed in the front lawn for many years, is mounted on the north base. Exterior benches are located in the Heritage Park. One was purchased by 2010-11 fourth graders in memory of classmate Abigail Yoder.